A beautiful, healthy smile can tell others that you’re open and friendly. 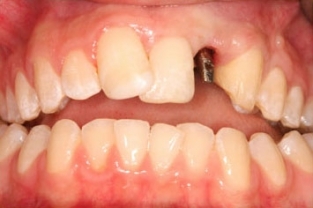 However, missing teeth can be a challenging obstacle that limits your confidence and inhibits your desire to smile. As a result, others may perceive you differently than you would like. Plus, missing teeth can cause a number of functional problems, ultimately affecting your ability to chew and speak properly. Customized dental implants from Smile By Design and our experienced cosmetic dentist, Dr. Donian Shen can help restore your teeth with natural-looking results. We believe dental implants are the only truly effective solution to replace missing teeth. This advanced technique offers numerous benefits, including addressing both the visible missing tooth as well as the missing root beneath the gumline. A replacement tooth works exactly the same way as your natural tooth—it is anchored in place and protects against bone loss that could occur with other treatments or no treatment at all. Furthermore, dental implants can be used to combat misalignment before it occurs. In experienced hands like ours, dental implants can be a smart investment that lasts a lifetime. I have had issues with my teeth since a very young age and always felt intimidated and uncomfortable going to a dentist. Dr. Shen has positively altered my feelings towards dental visits. She is very compassionate and knowledgeable which is a great combination. She performed a bone graft surgery on me a week ago and was very dedicated at ensuring that I got the best care possible. I will also be getting an implant at her office. Her receptionist is also very helpful and responds very promptly to emails and inquiries. The only thing that I was not very happy with was her assistant who showed a lack of experience. I was not sure if she was in training still. Dental implants are comprised of two parts: the titanium root fixture, or post, and the dental restoration that is affixed on top. The titanium post will be placed into the bone below the gumline for a sturdy foundation. 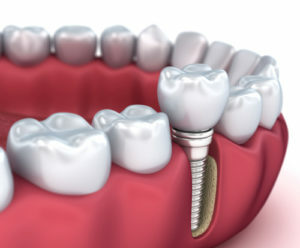 As a result, the implant can be stronger than the natural tooth. Once the healing process is complete, the restoration (dental crown, implant-supported dental bridge, or implant denture) will be attached. Dr. Shen endeavors to provide the most natural-looking outcome possible while delivering exceptional beauty and durability. Additionally, dental implants can be just as easy to care for as your natural teeth. Normal brushing and flossing will help to keep your implants in excellent shape for the life of your smile. It’s important to note, dental implants and implant-supported restorations are currently the only tooth replacement options that can aid in maintaining the density of your jawbone. Without the tooth and root structure, your body may gradually absorb the bone tissue, leading to significant changes in your facial shape and appearance. Dr. Shen will discuss this possibility and how to avoid it during your initial complimentary consultation. What Should I Expect from the Dental Implants Procedure? When you arrive for your first appointment, Dr. Shen will perform a comprehensive evaluation of your teeth, gums, and oral structures. This will also include an oral cancer screening. Ideal candidates will be in good general health and free of periodontal disease. Dr. Shen will then customize a treatment plan based on your anatomical needs, such as existing gum and bone support, as well as your cosmetic goals. The number of dental implants will also be determined by these factors to ensure the best possible outcome. After the consultation, your surgery will be scheduled. During this procedure, Dr. Shen will implant the titanium post (or posts, depending on your treatment plan), into your jawbone. It will take some time for the implants to fuse to the jawbone after this operation. Once your bone has taken to the implants, Dr. Shen may need to clear away some gum tissue to expose the implants; however, not everyone will need this secondary surgery. The next step is the impression. She will take models of your mouth to create a customized restoration that best suits your existing bite and your desired aesthetics. Once the restoration is delivered, Dr. Shen will affix it to your implant. The entire process typically takes between four to eight months to complete. Though patience will be necessary, the result should be worth the wait. Your new dental implants are designed to provide the same appearance and function as your natural teeth and to last for many years to come. A CT scan, sometimes called a CAT scan, typically will be used to determine the thickness of your bone and to better guide implant placement prior to bone graft and implant surgery. With the aid of advanced computer software, Dr. Shen plans the dental implant procedure using the information from your scan. When she performs the surgery, she already will be familiar with your unique anatomical needs. For your convenience, we have an in-house CT machine. Your safety is our primary concern, and we use a very strict sterile protocol when it comes to your procedure—from drapes to bib covers to gloves. We will also disinfect your mouth before the surgery and use antibiotics to cut down the risk of infection. As a result of this diligence, our infection rate is very low. We have three highly-trained surgical assistants to assure a smooth process. Additionally, Dr. Shen has completed advanced training with Dr. Carl Misch at the world-renowned Misch Implant Institute. To enhance your comfort and reduce dental anxiety we offer oral conscious sedation and IV sedation options to help put you at ease. If you are nervous about your procedure, we encourage you to discuss your concerns with us. We will endeavor to make your experience as pleasant and anxiety-free as possible. A Water Laser is utilized in our office to help during soft tissue and hard tissue surgery. In addition, this technique is also used to expose the healed implants during the restoration process, reducing discomfort and expediting recovery. The Water Laser can cut down the treatment and appointment time, since we combine multiple procedures in one appointment. This modern technology plays an important role in dentistry, providing greater comfort and saving time for our patients. Dental implants are designed to last a lifetime, and with proper placement and excellent oral care this is possible. To get the most out of your dental implants, it is imperative to have them placed by a highly skilled dentist with the experience and training to identify the ideal locations for each implant and to perform the procedure accurately. Dr. Shen is extensively trained and continues to maintain her knowledge with regular conferences and courses. 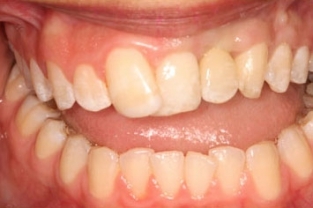 She is well-versed not only in implant placement, but in bone grafting and other elite techniques that can provide an exceptional result for patients who may otherwise not be considered good candidates by other dental professionals. She is dedicated to each patient’s care, comfort, and outcome, and she will work with you to ensure your implants last as long as possible. We offer a broad range of implant options to best suit your individual cosmetic goals, oral health needs, and lifestyle. You can learn more about our selection during your initial consultation, and here is a quick overview to help you get an idea of what’s available. Individuals who are missing one or more teeth can replace each missing tooth with a dental implant, one for one. This can often provide the optimal result; however, you need to have enough bone structure and room in your mouth for this approach. In the event you are lacking sufficient bone structure, Dr. Shen is extensively trained in bone grafting, which may be an avenue for success in your case. We can discuss this option more thoroughly during your first appointment. If you’re missing more than one tooth in a row, an implant-supported bridge may be preferable to a traditional bridge. Designed to be strong, durable, and natural-looking, a customized implant-supported bridge from our state-of-the-art practice offers a number of benefits. Tired of ill-fitting traditional dentures that slip? Implant-supported dentures from Smile By Design are custom-made to fit comfortably while giving you a strong bite and a beautiful smile. Additionally, implants require no special maintenance and they can help to preserve the health and integrity of your jawbone. Become more confident in your smile with this innovative treatment. The price of dental implants will vary depending on the number of implants used, the complexity of your case, whether bone grafting is needed, and other factors. During your initial consultation, Dr. Shen and our medical team will review the anticipated cost of your treatment, so you can make an informed decision about your care. Broadly speaking, each dental implant typically costs between $3,000 and $4,500 per implant, according to the American Academy of Implant Dentistry. For personalized information, please contact us to schedule a consultation. We can also help you find dental financing if you prefer to pay in installments. When planned, placed, and finished by a skilled implantologist, dental implants are not only considered very safe but also one of the best ways to replace missing teeth with lasting, beautiful results. In the wrong hands, as is the case with any medical or dental treatment, complications could arise. Dental implants require oral surgery, precision placement of the implants, and skilled creation of the restorations. You should never seek out the cheapest option when it comes to your health and safety. If you have trouble affording your treatment, we can help you find a way to bring the cost into your budget. Your comfort is one of our highest priorities, and we will make every effort to provide exceptional care during each stage of the implant process. Some soreness during the healing period is to be expected, and you can take over-the-counter pain medications to alleviate this sensation. We also offer sedation dentistry techniques that can minimize or even eliminate discomfort and reduce feelings of anxiety while you’re in our care. We understand that many people experience dental fear, and have a wide range of options to aid in your relaxation. If dental implants are not right for you, we offer a range of options that can help you address missing teeth. Dental bridges can be used to correct one or more missing teeth in a row and traditional removable dentures are a common restoration used for a quadrant or full arch of missing teeth. In some cases, patients who are not good candidates for a full set of dental implants may still be able to use implant dentures. Dr. Shen will review all of your options at your initial consultation, so that you can make the best decision for your needs and goals. We have extensive experience treating a wide range of implant indications, from single implant to full mouth rehabilitation and complicated cases. Backed with extensive and intensive training from the world-renowned Misch Implant Institute, Dr. Shen is qualified to handle general to advanced cases. We are one of the few offices in the area capable of both placing the implants and completing the full mouth reconstruction with exceptional results. You can be confident that Dr. Shen is competent, highly-skilled, and knowledgeable. Our practice maintains a very high success rate because of the careful treatment planning completed ahead of the surgery, as well as the in-depth knowledge and skill of Dr. Shen. Furthermore, we use some of the best materials available to optimize results. We take pride in our excellent work and our high success rate. It has always been our goal to provide the utmost, complete, and best possible care to our patients. At Smile by Design, we proudly stand behind our work. We have many happy patients, and we welcome you to read our patient testimonial page to learn more about their experiences. We also recognize that your time is valuable. At Smile by Design, there is no need to travel from office to office to complete your treatment—we offer excellent results from under one roof. Contact us today for more information about our services or to schedule a complimentary consultation with Dr. Shen. Dr. Shen has answered some additional frequently asked questions (FAQs) to help you make the best decision about your oral health care. For customized suggestions, please contact our office. Dental implants are typically not covered by dental insurance, even though they are considered in most cases to be the best approach to replacing missing teeth. We want you to have a beautiful smile and functional oral structures that hold up well over time, and we can work with you to find a suitable solution that brings your treatment plan into your budget. The process of placing dental implants, integrating with the bone, and attaching the permanent restorations is a long one that requires some patience. From start to finish, this can take six to nine months. However, you will never be without your smile. You will have temporary restorations in place, allowing you to smile, eat, and live confidently during the treatment. Dental implants can seem complicated, but we’re here to help. Contact us today for more information about how dental implants can help you. Our friendly team can answer questions or schedule you a complimentary consultation with Dr. Shen.